Gourmet Burger Kitchen recently entered adminstration. Byron Burger closed 16 stores earlier this year. Have we fallen out of love with the gourmet burger? The Budget is the day when politics gets personal - how will the Chancellor's announcements affect your pocket? We speak to people in their twenties and thirties about their incomes and cost of living. New research from Scottish Widows suggests young women in particular aren't saving for their pensions, what would it take to change that? Is it ever worth paying extra for breed specific dog food? The manufacturers claim that certain breeds are predisposed to certain conditions that will benefit from dietary changes, but vets have long advised that for most dogs it's probably not worth the extra money. If you need to go into residential care, your council can include the value of your home when deciding how much you'll pay for care. They can't do that if you're still living in your home, receiving care there. We speak to a firm of solicitors that has reported an increase in councils incorrectly applying these rules - particularly when individuals have made financial gifts to family members. As a result, councils are arguing 'deliberate deprivation' of assets, sometimes incorrectly. We hear from a family affected. In the UK we spent £2.5 billion on burgers last year, not including the ones we eat at home. It's been a difficult time for the casual dining market and it's hit some burger chains. 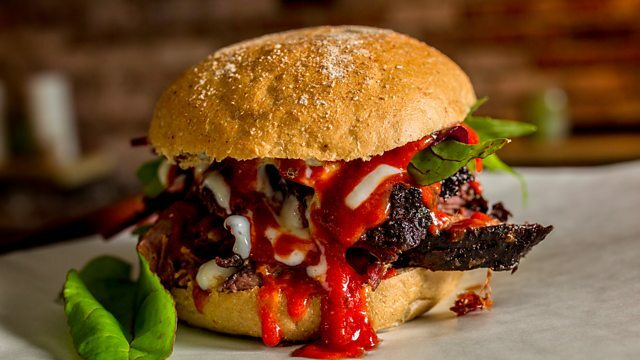 Gourmet Burger Kitchen recently announced that the chain had entered administration, and we speak to the Chief Executive of Byron Burger about the financial troubles they experienced this year, resulting in the closure of 16 branches. Call You and Yours - How easy is it to run your own business?